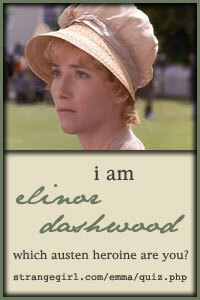 This movie is based on the the successful Phillipa Gregory series of books. I have never read this book, but the cast intrigued me, so Jason and I watched it yesterday. I enjoyed this movie and the cast. I thought Natalie Portman was wonderful as the conniving Anne and Eric Bana was a great King VIII. It was fast paced and there was never a dull moment. This is the twisted story of ambition and betrayal during the reign of Henry VIII. Anne and Mary Boleyn were both sold out by the men in their lives in order to catch the King’s eye and move into his bed. The story’s only real sympathetic character was Mary (played by Scarlet Johansen), as everyone else was a backstabber with a motive. I liked the movie, but was curious about its accuracy, so I looked around on the internet yesterday and found that it is not all that accurate. If you already know the story of Anne Boleyn then you might enjoy this fictional story, but for me, who has very little knowledge of the truth, the story can leave a distorted view of reality. But, since most of us watch tv and movies specifically for a distorted view of the real world maybe that’s not a bad thing.